Dr.Karan Tangri is working at Dr.Tangri’s Dental Centre as a Consultant Orthodontist. 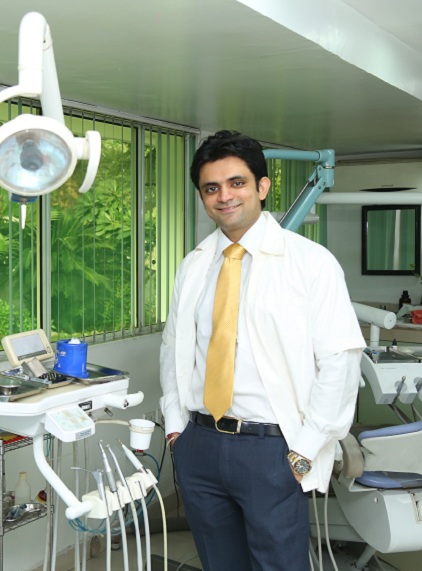 After completing his Bachelors of Dental Surgery from Subharti Institute of Medical Sciences, he got admission in Masters of Dental Surgery in the field of Orthodontics. During his three course as a post graduate student, he presented scientific papers/posters in all three Student PG conventions organized by the Indian Orthodontic Society. One of his papers, “Bracket Slot Size: Is 022 really 022 ” which he presented at the 16th IOS postgraduate convention at Visakhapatnam in March 2012 was also published in the Journal of Indian Orthodontic Society in the same year. Dr.Karan is a life member of Indian Orthodontic Society and is also presently the treasurer of India Dental Association South Delhi Branch(2015-2017).